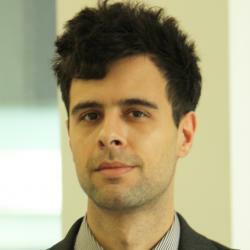 Juan is an Economics Research Fellow at Nesta in the Creative Economy team for Policy and Research. His current work includes a programme of research around the impacts of big data and analytics on innovation and growth, and their implications for policy and management practice. He is also using new web-based sources to understand emerging industries and innovation activities, with a recent application to mapping the UK games industry. Previously, Juan worked on Next Gen, an independent review of skills for the UK video games and visual effects industries, and A Manifesto for the Creative Economy among other projects. Before joining Nesta, Juan was a researcher at SPRU (Science Policy Research Unit), University of Sussex, and CENTRIM at the University of Brighton. He remains a Visiting Fellow in CENTRIM. Juan has a background in economics, and an MSc (with distinction) in Science and Technology Policy from SPRU.